Acoustic Compression Therapy is widely used in the treatment of acute and chronic pain in muscles, tendons, and joints. ACT describes the use of acoustic waves to target tissue at varying depths to compress and manipulate tissue resulting in a focused and precise deep tissue massage. 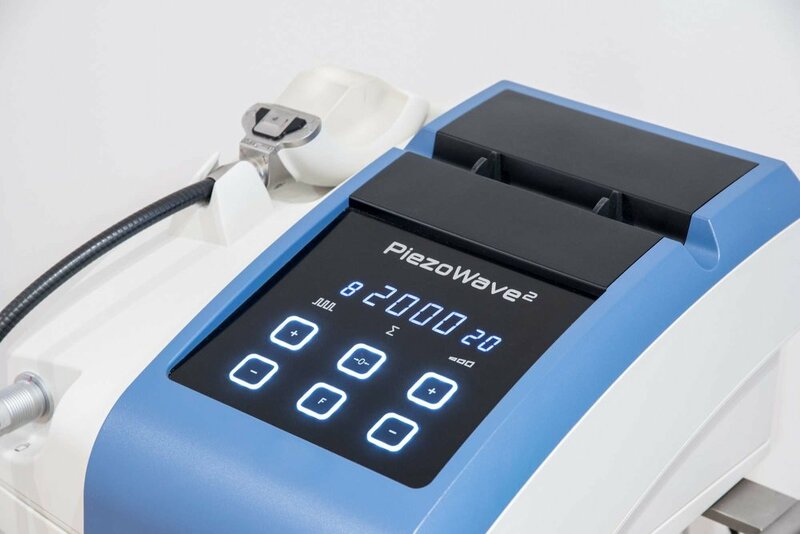 Watch this brief video to learn why the PiezoWave2 machine is one of the most accurate pain relieving tools in Physical Therapy. ORS has 3 of these machines available in Holt, at the Total Joint and Aquatic Center in Jackson and at West Clinic (WellWave). The acoustic waves generated by the PiezoWave painlessly pass through the body and converge at a point deep within the soft tissue to produce intense, extremely short duration compression event. The focused acoustic compression is translated to tissue to provide a massage with pin-point accuracy to the affected area. A typical PiezoWave2 treatment takes between 10 and 20 minutes. Normally, 1-2 treatments per week are performed with a total of three to five treatments may be necessary before lasting improvement is achieved. With acute pain, a single session is often successful. ORS has several therapists trained in the treatment and it is offered at the West Clinic, Holt Clinic, and Total Joint and Aquatic Center.